Keeping bees can be for recreational purposes if you want an outdoor hobby and love the environment or it can be for commercial purposes as an income generator through either honey production or pollination services or both. Even as a hobby beekeeper you will end up producing honey through the hard work and marvellous ingenuity of the honeybee colony. 4. Proper protective clothing and the basic tools to start working on your bees once they are established. 1. A basic understanding: As in learning all new interests you can read about the subject in a book or on the internet; you can go on a course and you can practically work on your new interest. In South Africa the best book on beekeeping is generally referred to as “The Blue Book” called “Beekeeping in South Africa” by Johannesmeier et.al. There are also some other good books available by South African authors. These publications are available through Beequip. You would be well advised to go on a local Beekeeping Course. Beequip runs Beekeeping Courses over weekends during the summer months on “Basics in Beekeeping”. The cost is R1650. 2. A suitable place to keep your bees. If you want to practice suburban beekeeping, which is allowed in certain municipal areas, make sure you comply with the local by-laws. If you have a decent size garden with a shady spot, away from lawnmowers, animals and inquisitive children and neighbours, then it may be feasible to set up a colony in your backyard. If you live in a townhouse complex, then forget it. If you have a plot, or a smallholding or a farm, you can quite safely keep a colony of bees in a suitable spot. Keep bees away from chickens and horses. They don’t like the smell of these creatures. 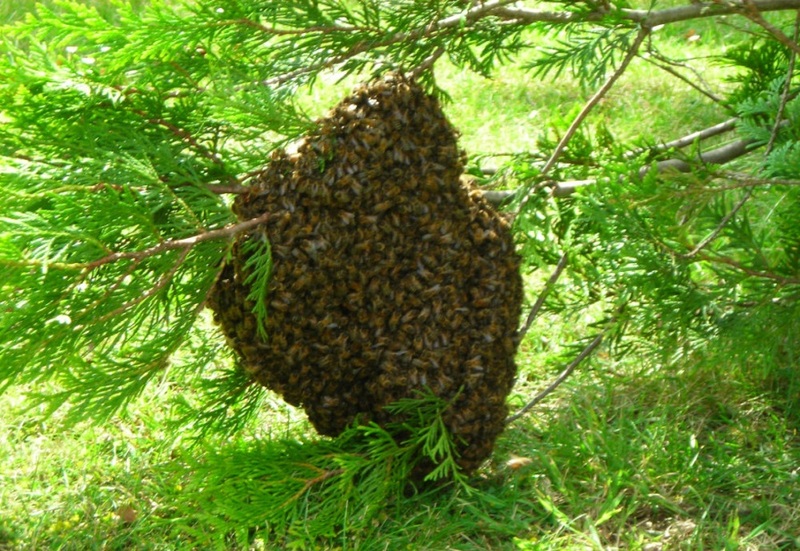 • acquire a colony of bees through a bee removal whereby you relocate an established colony into a beehive – you will however need experience in doing this. Removing bees from a bird log. Of course you need to have purchased (or made yourself) a beehive to keep the bees in. 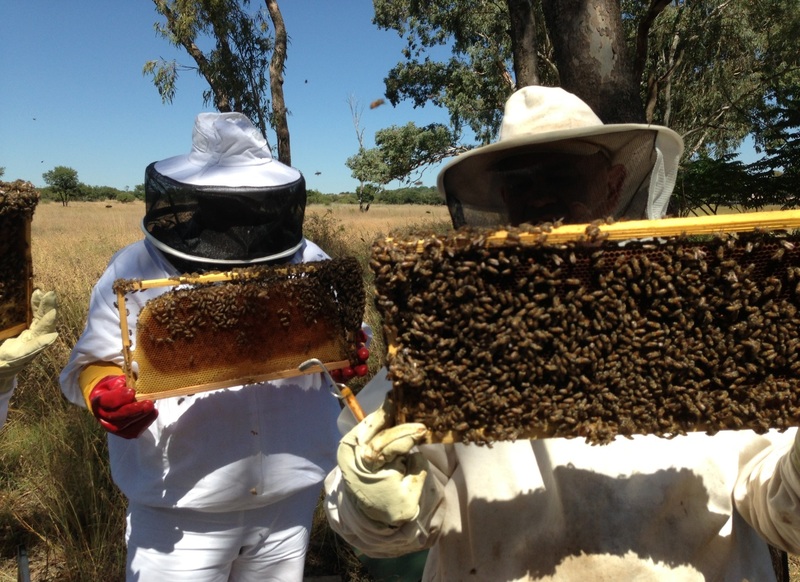 Often beekeepers start off a new colony using a trap box (also called a catch hive or Nuc (pronounced “nuke”) box) which is half the size of a standard brood box and holds 5 brood frames for the bees to start building their combs on. If you want to start off with a proper beehive, you will need the Brood Chamber attached to a Floor Board with an Entrance Block, and Inner Cover and an Outer Roof as your basic unit. Make sure you have a decent stand for the beehive. It ideally should be 300 – 500mm off the ground on a sturdy frame. (This height is ideal for your back!!) Do not put your beehives on the roof – it’s impossible to work them there! 4. Proper Equipment: Lastly you must have the right equipment to do the job. If you are going to keep bees you must manage the bees in the beehive. You cannot just leave the bees in the beehive – they will outgrow the chamber, becoming irritable, aggressive and dangerous. Protective clothing consists of a white overall (zip up) and a veil. Some outlets sell full suits but these become cumbersome and awkward in hot weather. Beequip sells the separate Poncho Veil which is comfortable and very protective. A good pair of gloves is essential with the gauntlet up to the elbow. Plastic PVC Gloves are good for messy work but leather gloves are ideal for working on the hive. Lastly a good pair of boots is essential with a pair of Gaiters to protect your ankles. Bee stings (occasionally) are an occupational hazard. 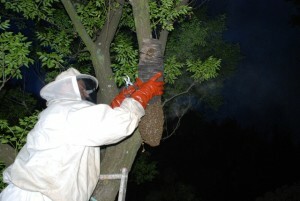 If you are highly allergic you should really re-consider your interest in beekeeping. Other than that we all react in some way to a bee sting and the odd bit of bee sting venom should not be that harmful. The basic tools you need for beekeeping are a hive tool, a smoker and a bee brush. Other accessories can be purchased on your advance into your hobby. Ultimately of course, once you have harvested your first crop of honey, you will need extraction equipment. What you buy here will depend on how far you want to go in beekeeping. What will this cost to start up? Includes: Floorboard, Entrance, Brood Chamber, 10 x Brood Frames (with wax strips), Inner Cover, Telescopic Lid with Aluminium Sheeting. I hope this gives you some idea what it takes to get started in beekeeping!